Home News Grouse shooting: Unnatural. Uncontrolled. Unkind. With just two weeks to go until the start of the grouse shooting season – the so-called Glorious Twelfth – a short, hard-hitting film, revealing the destructive and cruel nature of grouse shooting, has been launched by national campaign group, Animal Aid. Filmed across several upland areas in the UK, the footage depicts scenes that are typical of grouse shooting operations. Wildlife persecution: including footage of the traps, snares and ‘stink pits’ used to lure and kill animals who are perceived to be a threat to the short-term survival of the grouse. 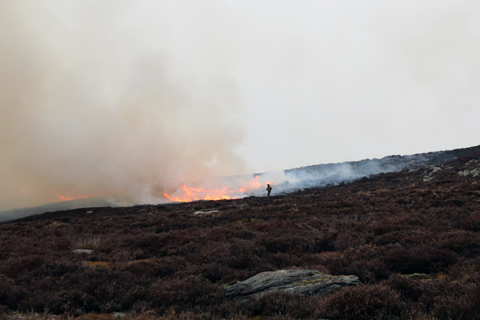 Environmental damage: including evidence of the burning of moorland to create heather, which acts as food and shelter for the intended quarry. 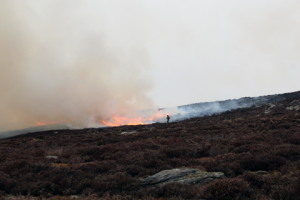 But burning the moors damages delicate eco-systems and degrades the carbon-rich peat, releasing carbon dioxide, which contributes to climate change. 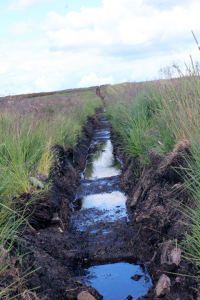 Destruction of the landscape: including the building of roads and tracks across ecologically important upland areas, to access the grouse butts. Until recently, the Glorious Twelfth – celebrated as a traditional custom of the wealthy and elite – has passed with little criticism. But opposition to the ‘sport’ has rocketed in recent years, following revelations of the damage done by grouse moor operators. 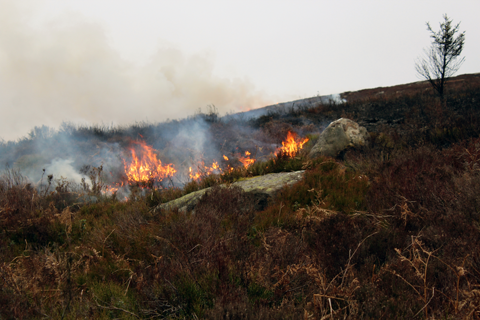 Amongst those to speak out are conservationists, concerned about the illegal persecution of birds of prey; environmentalists, distraught over the burning and draining of the precious peat bogs in upland areas; and animal activists, horrified at the use of grouse as live targets and the snaring and trapping of huge numbers of wild animals. To date, more than 65,000 people have signed a petition, supported by the League Against Cruel Sports, Chris Packham and Bill Oddie, calling for a ban on driven grouse shooting. In addition, Animal Aid has interviewed people who live in Hebden Bridge – an area which has been repeatedly flooded in recent years. Residents of the close-knit town live below an area of moorland that has come under intense criticism. 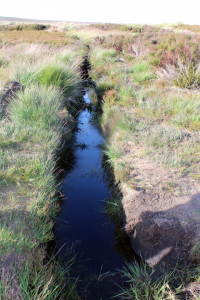 They argue that the land management practices carried out on the moor in years past mean that the land has lost some of its capability to soak up rain. The consequence, argue residents, is that water runs off the moor and floods villages and towns in its path. The campaign group is also holding a Week of Action Against Grouse Shooting (5-12 August) to raise awareness about the harm to animals and the environment caused by the grouse shooting industry. The campaign group will encourage supporters to take the streets to distribute leaflets and campaigners will visit towns and cities near to grouse shooting locations.